In the chaos of closing on a sale of your property, the last thing most people are thinking about is choosing a qualified intermediary, or “QI” (a.k.a., an exchange “accommodator” or “facilitator”). After all, aren’t they all the same? Aren’t all qualified intermediaries “qualified”? The answer is emphatically, no. The following guide to choosing a 1031 qualified intermediary provides you with seven questions to ask before choosing one for your 1031 exchange. 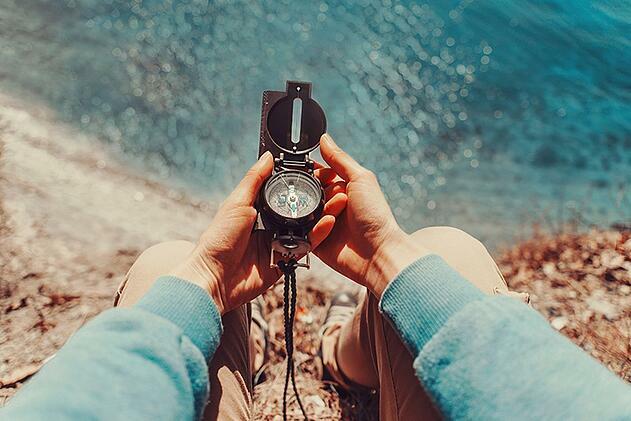 Armed with these 7 key questions, you’ll be ready to have a short conversation with a 1031 facilitator you are considering. Unlike banks, stockbrokers, and insurance companies, there is no national standard or federal supervision of qualified intermediaries. 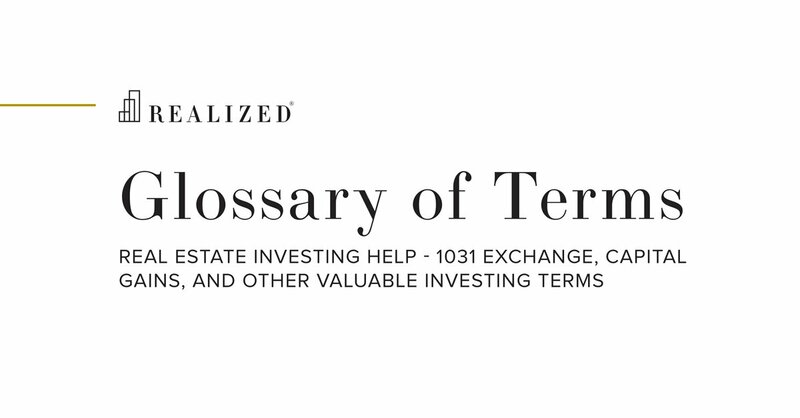 In most states, QIs are not required to be licensed or bonded/insured, even though the IRS requires a qualified intermediary to hold your 1031 exchange funds! Why does this matter? In 2012, the Federal Trade Commission reported that it was aware of 23 instances where investors lost an estimated $250 million as a result of fraud and negligence by qualified intermediaries. While these instances are admittedly rare, remember you are entrusting an accommodator to hold your hard earned profits from the sale of your property. That requires a lot of trust. The importance of working with a good qualified intermediary can be the difference between a smooth 1031 exchange and a nightmare (no exaggeration). Prepares the legal agreements necessary to properly structure a 1031 exchange. Holds and safeguards your money from the sale of a property (i.e., your 1031 proceeds) until you close on a replacement property. Ensures that your exchange complies with the Internal Revenue Service’s rules. The world of qualified intermediaries came under intense scrutiny on the morning of November 26, 2008, when LandAmerica 1031 Exchange Services (LES) filed for bankruptcy protection. At the time, LES was a significant player in the qualified intermediary business. In fact, LandAmerica Financial Group, the parent company of LES, was the third largest title insurance company in the country. When LES filed for bankruptcy, it was serving as the exchange accommodator for 450 individual investors, and holding $420 million of their 1031 exchange funds. Of these, about 400 had signed exchange agreement that did not require a “segregated account,” presumably because they didn’t understand the risks of choosing the lower cost option of putting their funds in one large “commingled account.” The commingled account option cost less because LES was legally allowed to invest the investors’ funds and keep most of the interest earned. When the financial crisis hit in September 2008, the market value of the securities LES had invested in dropped more than 50%, which made LES insolvent and forced the company to file for bankruptcy. It took more than five years for the 400 investors who lost their money through the bankruptcy to recover their funds, according to a statement filed by Gerard A. McHale Jr., the Bankruptcy Trusted for LES. Question 1: How long has the qualified intermediary been in business? As a general rule, the longer the QI has been in business, the better, because it means she or he has experience both in terms of handling exchanges and understanding the laws and regulations that govern them. Question 2: How many exchanges has a QI completed in the last five years, and what is the aggregate dollar amount of exchanges in each of these years? Dividing each year’s dollar amount by the number of exchanges gives you the average. Hopefully, this is not significantly less than the amount you have to exchange. Question 3: What percentage of a QI’s business is traditional delayed/forward exchanges (sell a property; 45 days to ID replacement properties; close within 180 days), versus more complex types, like reverse or improvement exchanges? There’s no right answer here, but a firm that regularly completes more complex exchanges may have greater technical prowess. Another good indicator of experience is the qualifications of the CPAs and tax attorneys they use. Many firms have these functions in-house. Basic QI services do not include tax advice, but these services could be invaluable if you have a tax issue that comes up. Question 4: How will my funds be held? It’s prudent to insist your funds be held in a Segregated Qualified Trust Account or a Segregated Qualified Escrow Account. Avoid the low cost option of a commingled account and QIs that promise to pay a high interest rate. Question 5: Where will my funds be held? The best answer is that the 1031 funds will be kept in a large, reputable FDIC insured bank. Remember that FDIC insurance is generally limited to $250,000 per account holder. If you are concerned about the health of the bank where the QI is holding funds, you can require that they be held at another bank. Question 6: Can I have a written copy of your internal controls? Internal controls are the policies and procedures that protect your funds against theft or fraud by the firm’s employees. The objective is to understand the approvals, oversight, and steps required to move or release your money. No single employee should have that authority. Best practices are to require your signature, followed by multiple written approvals within the QI’s organization, which makes it difficult for any one or two employees to access your funds. Finally, at a minimum, the QI should be completing regular background checks on all employees. Don’t be intimidated: reputable firms takes their fiduciary responsibility seriously and will gladly provide you with a copy of their internal controls. If they do not, be very wary. Question 7: What types and amounts of insurance does the firm carry? A QI’s insurance coverage protects against your money being stolen, or if the IRS says you have to pay taxes, as a result of the firm’s negligence. At a minimum, your account should be protected by fidelity bond coverage and Errors & Omissions (E&O) insurance. More importantly, how does the fidelity bond and E&O coverage compare to the QI’s average amount of 1031 funds on deposit for all their exchangers? To calculate the QI’s average 1031 funds on deposit, divide the aggregate dollar amount of exchanges obtained by Question 2. For example, let’s say that a QI did $240 million of exchanges in each of the last two years. Assuming on average a QI holds exchange funds for 120 days (120/365 = 3), their average 1031 funds on deposit is $80 million ($240M/3). There’s no hard and fast rule, but if a QI has a $1 million fidelity bond and $250,000 in E&O insurance, that’s not much coverage against $80 million. The Exchange Agreement with Qualified Intermediary—Read It! After you’ve done your due diligence on a QI, read your Exchange Agreement (and have your attorney read it). The Exchange Agreement is the contract between you and the QI that governs the relationship. It should be consistent with what you’ve learned during your due diligence. If there’s an inconsistency, raise the issue before you sign your Exchange Agreement. While I’ve covered a bunch of potentially scary scenarios, my sole objective is to provide you with the tools to make an informed decision about the QI you choose for your 1031 exchange. Having dealt with a lot of QIs over the past 25 years, I can empirically say that the vast majority are conscientious, honest, stewards who take their fiduciary responsibilities to the exchanger very seriously. With that said, I am certain that the unfortunate investors who were snared by LandAmerica 1031 Exchange Services’ bankruptcy, and the other misdeeds by QIs, would have been far better off if they had followed a methodical process like the one I’ve described above.